Property services agent Oliver Hume predicts the Gold Coast property market is set for an increase in activity with the impending launch of the largest residential land estate in Coomera since 2011. Oliver Hume has been appointed the marketing agent for the $70 million LURA development by developer Partners in Property. The estate will be launched to market in June 2015. Located at Amity and Foxwell roads, LURA will feature 272 lots ranging from 300sqm to 849sqm. Prices for lots will start from $200,000. Oliver Hume's appointment is the latest of many achievements for the business. It was recently appointed to market Villa World's Era project at Capalaba and Waterline in Thornlands and is currently marketing and appointed to over 11,000 land lots and 1,100 new apartments. Oliver Hume Joint Managing Director Brinton Keath said LURA was a significant new land estate and its large size underscored the strength of the Gold Coast market. [urbanRelatedPost][/urbanRelatedPost]"The market conditions in Coomera are some of the strongest in SE Queensland on the back of Westfield's impending Coomera Town Centre development which will include upon completion a department store, two supermarkets, cinema, 123 shops and more," he said. "Buyers and investors are enthusiastic about the long-term growth potential of the area and are looking to capitalise on this by investing in high quality sites. 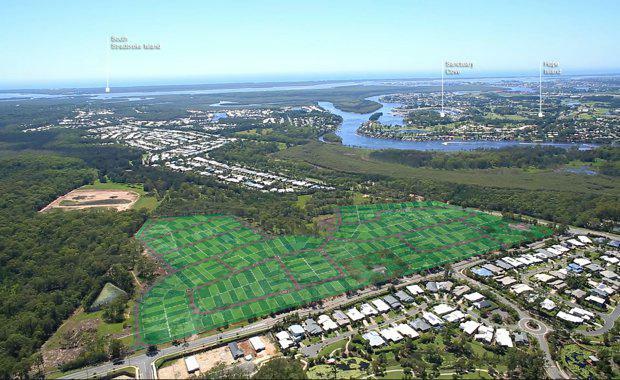 "Mr Keath said LURA was perfectly positioned to take advantage of the strong interest in Coomera with a range of blocks and a convenient location close to all amenities. "LURA has everything you need all within five kilometres. It's an excellent opportunity to buy into this exciting region," he said. LURA is close to public transport, with the Coomera railway station only a three minute drive as well as the close proximity to the Pacific Motorway with access to Brisbane and Surfers Paradise.